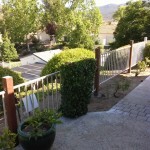 Do you have a leaning or wobbly fence? 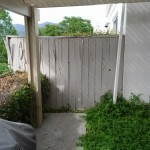 Many times this can be repaired at a very reasonable cost and extend the life of your fence. 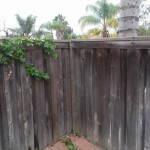 SJS Handyman has fixed several fences over the years and saved many home owners the high cost of replacing the entire fence. 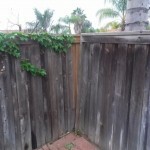 If you’re looking for a good handyman to help you with a fence repair in San Marcos or the surrounding areas call SJS Handyman at 760-580-5224. 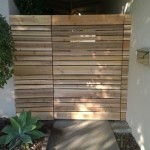 Have you ever had a gate the drags while you close it or won’t stay closed. 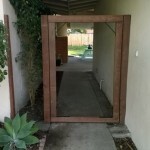 SJS Handyman is a gate repair expert. 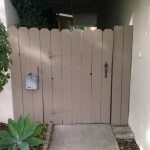 We have repaired many gates and made several happy customers now that they are able to close their gates with very little effort. 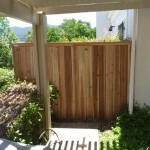 Are you looking to have a small fence or gate built. Let SJS Handyman help you out. 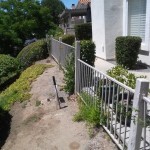 A fence contractor would be your best choice if you’re looking to replace your entire fence but if just need a small section built then give us a call at 760-580-5224. We’d love to save you some money and make you one of our happy customers.